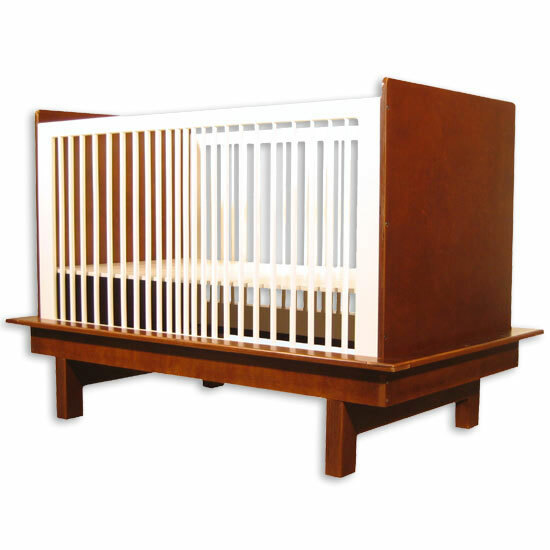 My first featured product is the Classic Oeuf Crib. 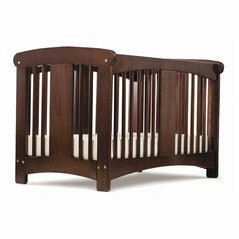 I have one so I know that I like it and it seems to be the breakout modern crib. 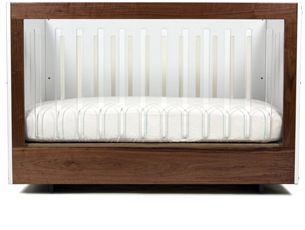 When I was pregnant with my son I preordered this crib, sight-unseen, for the nursery. I searched for a place to see one in person before ordering it, but they were nowhere to be found. 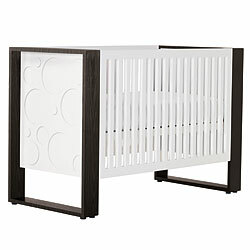 I loved the design and most importantly, I loved the changing table platform. 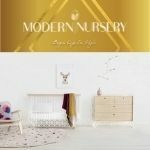 Our nursery is too small for a lot of furniture and I already had a bookshelf that I wanted in the room instead of a separate changing table. 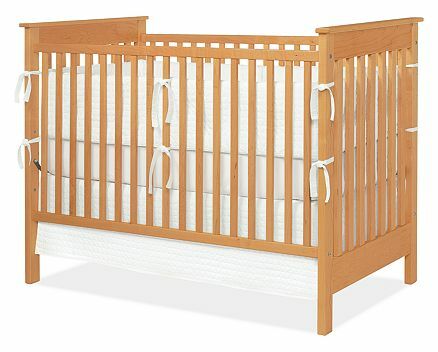 I couldn’t find anything that could compare to the Oeuf crib in that price range and took the gamble. 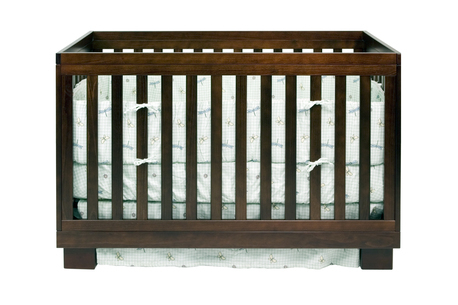 We waited several weeks for the crib to be released and when we finally assembled the crib it was perfect. They have come out with a matching dresser and a walnut stain base as well. 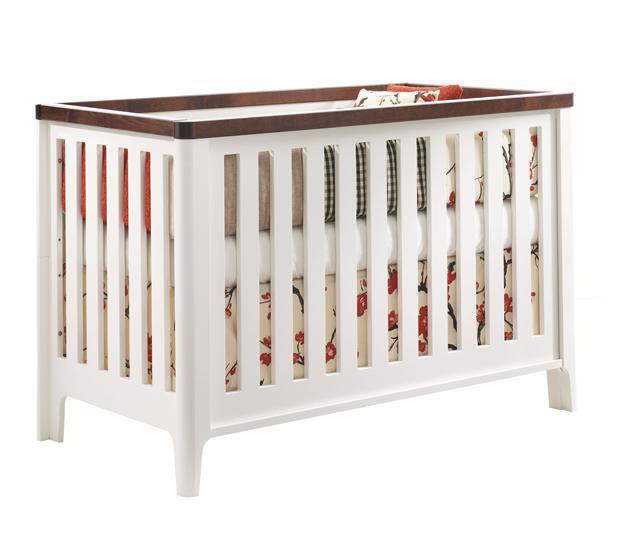 I have spotted them on television (I believe Extreme Makeover Home Edition, one episode of Bringing Home Baby and I think Samantha Bee and Jason Jones on The Daily Show have one in their nursery) and in magazines. 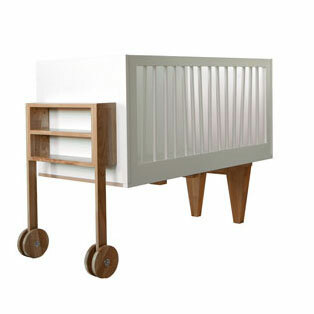 Oeuf's other lines of furniture, include the Sparrow Collection, the Robin Collection and Rhea Collection. 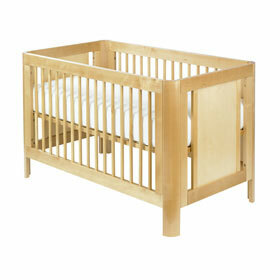 Almost every modern baby site carries the Oeuf Crib now and even some more mainstream stores sell them. 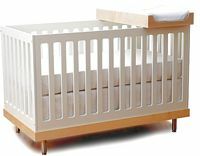 Check out the list of online stores to purchase an Oeuf or to look through their other crib options. 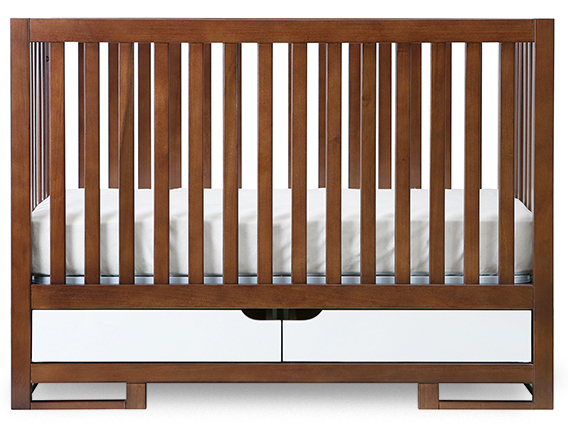 Also available in walnut finish. 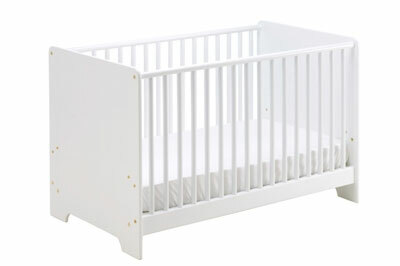 Approximately $890 for the crib only. 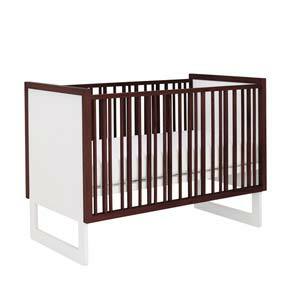 Mahogany crib with sterling silver inlay. This is an heirloom piece for sure. Retails for $5000 ($4000 without the silver inlay). 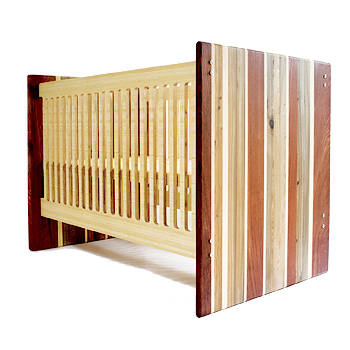 This crib features bamboo sides and ends made up of variegated strips of reclaimed wood. 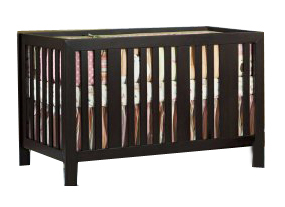 Baby Box Crib grows through 3 sizes and includes 3 modular mattresses. 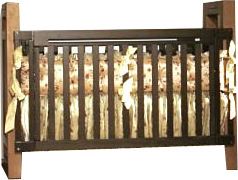 Aerial crib (shown left), Hollis, Studio and Loom (shown right) models are available (ignore the Spindle-- it's ugly). Retail for between $590 and $3000. Click to buy. See the Alex (shown left), AJ (shown right), Austin, Cabana (with canopy), Campaign, Sam, Morgan, Dylan, and Parker models. Retail for between $785 and $2450. 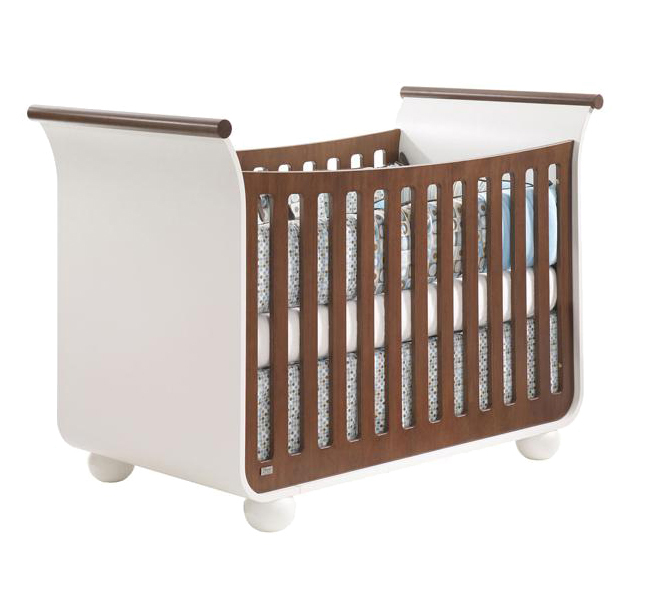 Ioline (shown left), Caravan, and Echo (shown right) cribs. Retail for about $700-$1600. Click to buy. 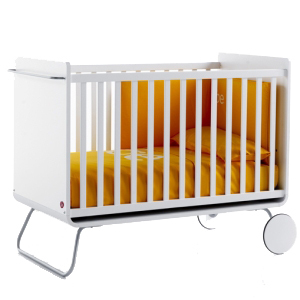 Tulip has a few collections which include the Panda (shown left), Pod and Piccolo (convertible version shown right) cribs. Retail for about $1200. Click to buy. 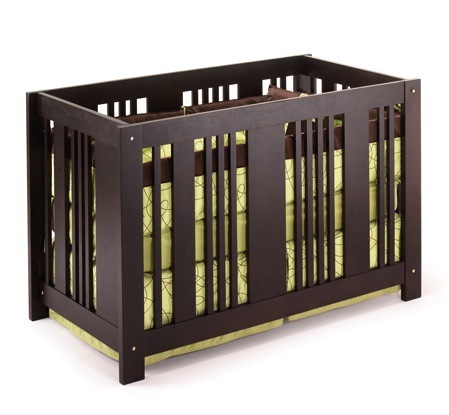 Cariboo has been famous for their bassinets and they have now introduced cribs into their product line. 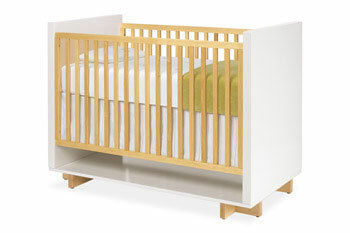 The Contemporary Cot is simple and convertible. 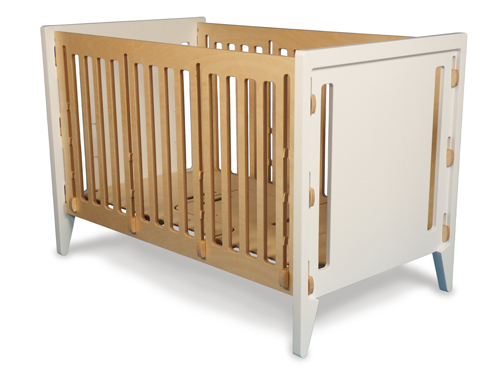 Their Classic Cariboo Cot (right) has optional changer and bassinet inserts. Retail for about $1560. 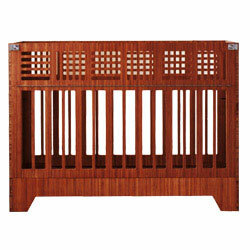 These fixed gate cribs are buillt in the United States. Retails for about $1300 - $1400. 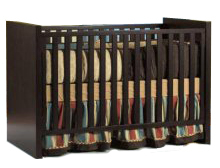 There are two versions of this crib-- the version shown left and a more basic version without wheels and storage. 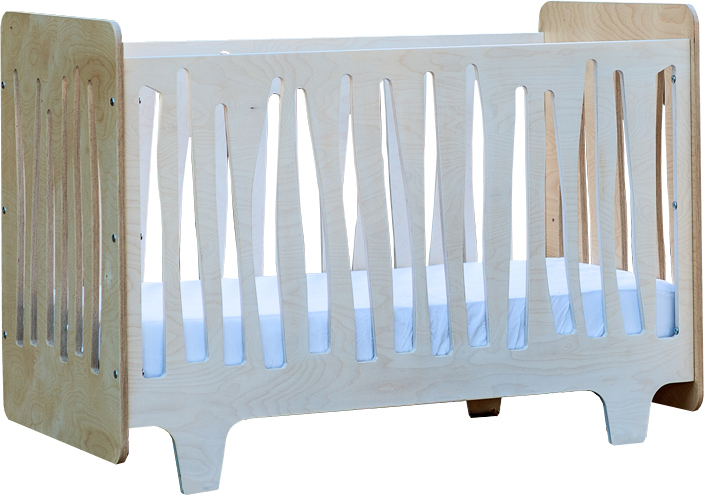 Both versions come with a conversion kit to transform it into a daybed. Retails for about $1200. If you've seen pictures of it, you've probably been coveting this gorgeous convertible design. 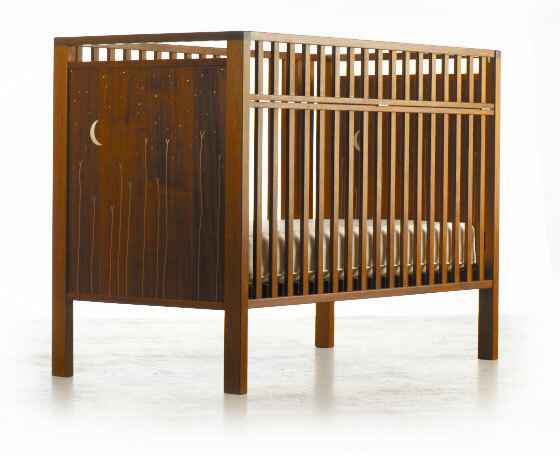 The wait is over as this crib is finally available in the US. 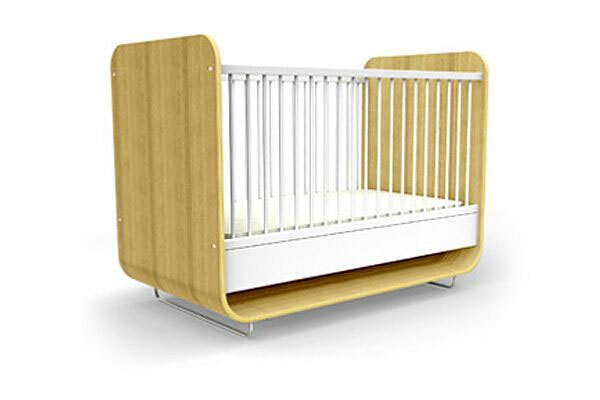 The Nest crib is part of a beautiful collection of furniture from Ooba. 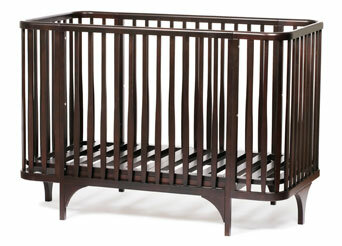 Most people I have talked to point out this crib as their favorite. Especially nice with the matching dresser. Available in many different color combinations. I haven't found much information about this one but I love the set. Looks even better on their website. Retails for about $1300. 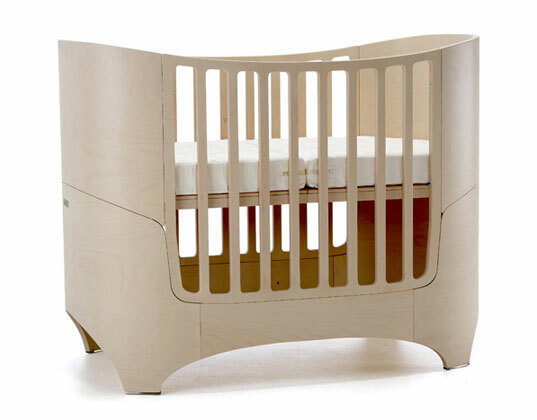 Beautiful simple crib that flips over to turn into a desk when your child grows out of it. 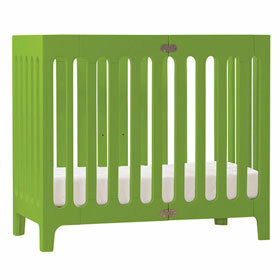 Also available with brown, blue or natural slats. Retails for about $1100. Sahara (shown left) available in 2 finishes. Toddler conversion kit also available. 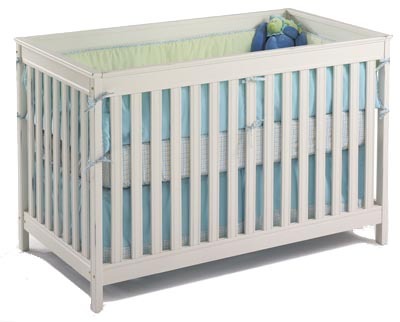 Bam and Bam Bam Cribs available as shown or in White and Gray. Retail for about $585 to $700. Click to buy. Spot on Square also has three amazing collections-- Roh (shown left), Hiya (shown right) and Eicho. Please check them out. Hiya Retails for $675 to $925 depending on the finish. Click to buy. 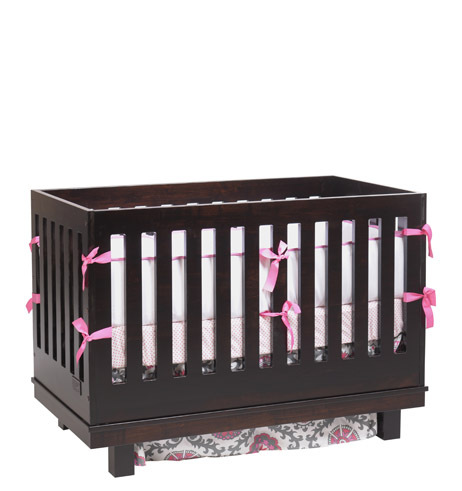 Many of you may be fans of the store Room & Board and you could deck out your nursery there. 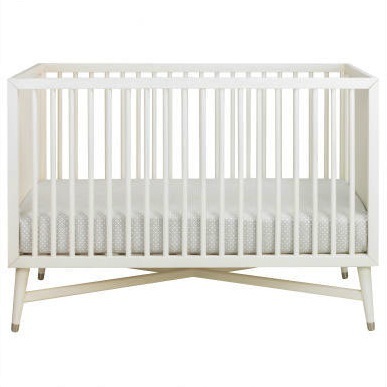 The Moda Crib (shown left- similiar to the Netto Moderne) retails for about $1000 (about half the price of Netto) and the Nest (shown right) is about $700. Element shown on the left and Lollipop on the right. Convert to a daybeds. Milano shown on the left and Imperia on the right. Retail for about $750-915 but you should be able to find them for under $700. 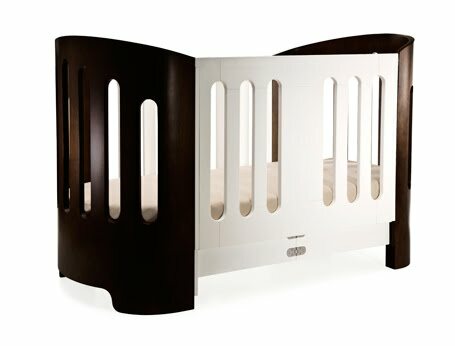 The Luxo Sleep crib (left) retails for about $990. 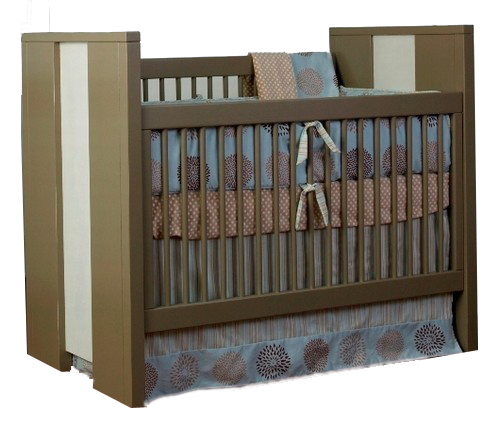 Alma cribs (right) are available in small, medium and stardard sizes. 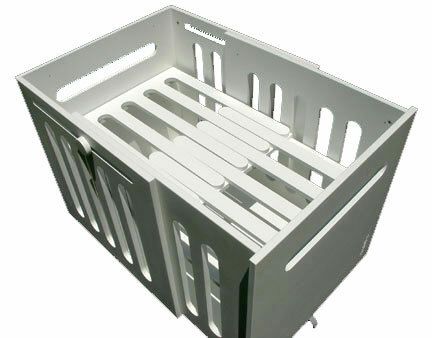 They also fold can fold up when not in use. 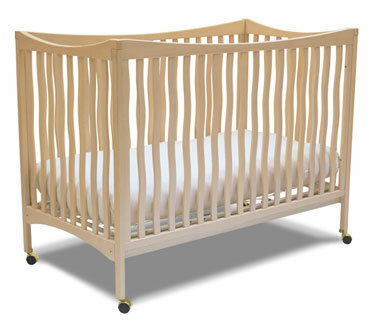 Tall Grass Crib has uniquely curving rails. 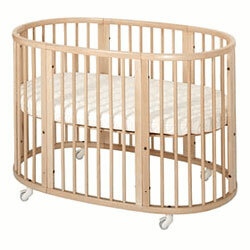 This oval crib grows with your child. Retails for about $849. Click to buy . 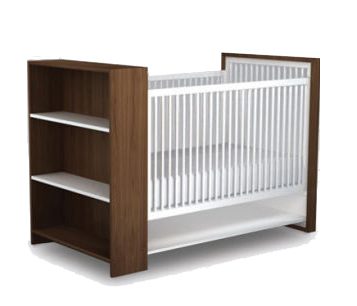 This solid birch crib is available in natural and walnut. Modo (shown left), Mercer (shown right), Harlow, Hudson, Grayson, Madison, and Skip are quite attractive for the price. 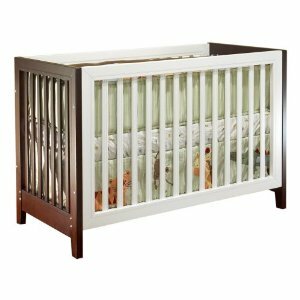 Cribs retail for about $400. Click to buy. 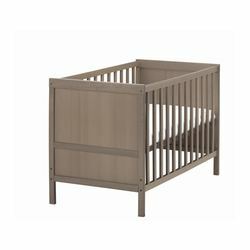 Ikea has a few modern styles- this one the way to go for a really affordable option. Gulliver (shown left), and Sundvik (shown right). 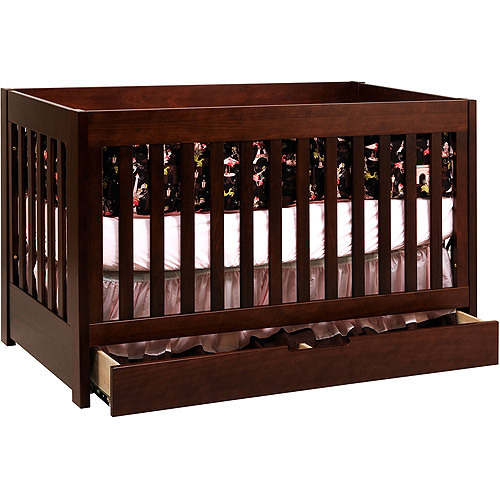 Cribs run from $100 to $120! Surprise! Now I can't speak for the quality, but $300 gives you the look you may be going for. 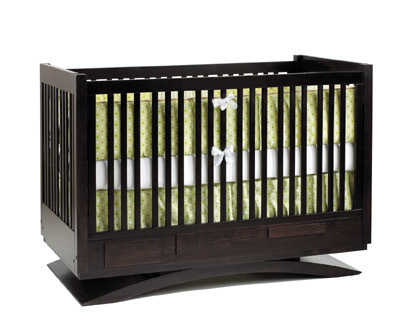 Shown left is the Roxanne 3-in-1 convertible crib and you should also check out the ParkLane (shown right) and the Olivia crib, which would be your alternative to the Oeuf. Available online. 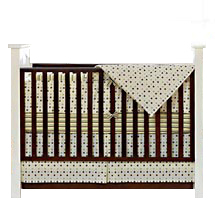 Bedding, matching dressers and changing tables are also available. Who knew? Check out a room with the set. 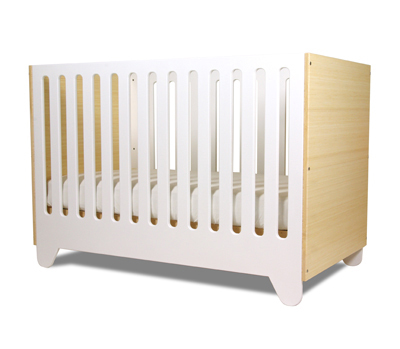 The Alma mini crib is smaller than a standard crib and folds up for storage. 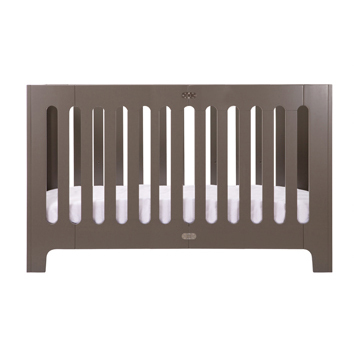 Also available in Cappuccino, Frost Gray and Coconut White. It retails for about $400. Their mattress is an additional $160. Click to buy. Retails for about $380. Click to buy.